~ A double gable fronted, four bedroom detached house. ~ A gable fronted four bedroom detached house. ~ An imposing four bedroom detached house. ~ A flexible four bedroom detached house. ~ A double fronted four bedroom detached house. Plots 1 & 2 - The Avebury ~ double gable fronted, four bedroom detached house. Plot 3 - The Cherhill ~ A gable fronted four bedroom detached house. 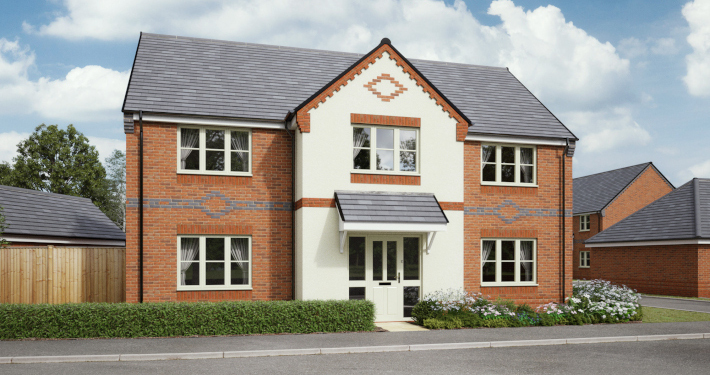 Plots 6 & 11 - The Ramsbury ~ An imposing four bedroom detached house. Plot 5 - The Durrington ~ A flexible four bedroom detached house. Plots 4, 10, 12 & 13 - The Edington ~ A double fronted four bedroom detached house.